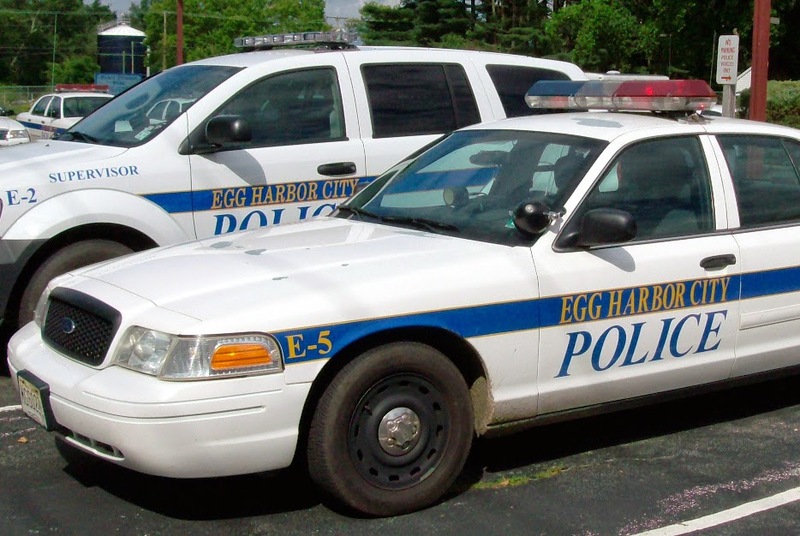 Egg Harbor City Police have released their Police Blotter for the week of October 19, 2014 to October 25, 2014. Arrests consist of disorderly conduct, criminal mischief, and weapon charges. A juvenile, 14, of Egg Harbor City was arrested by SLEO Joe Akeret for criminal trespass on October 19. A juvenile, 17, of Egg Harbor City was arrested by Sgt. Matt Landicini for disorderly conduct on October 19. A juvenile, 15, of Hammonton was arrested by Sgt. Matt Landicini for disorderly conduct on October 19. Ronald D. Pisaniello, Jr., 33, of Galloway was arrested by Sgt. Matt Landicini for possession of heroin on October 19. Walter M. Pressley, 39, of Egg Harbor City was arrested by Ptl. Jen Hurley for criminal mischief on October 19. Gayla M. Hart, 20, of Egg Harbor City was arrested by Sgt. Dylan Hutton for simple assault on October 21. Theresa M. Strong, 34, of Egg Harbor City was arrested by SLEO Pat Aiken for criminal mischief on October 20. A juvenile, 17, of Egg Harbor City was arrested by Sgt. Dylan Hutton for disorderly conduct and harassment on October 21. Lasownda Lenore Collier, 40, of Egg Harbor City was arrested by Sgt. Dylan Hutton for disorderly conduct and harassment on October 21. A juvenile, 17, of Egg Harbor City was arrested by Sgt. Dylan Hutton for disorderly conduct on October 21, 2014. Samuel Alicea, 40, of Hammonton was arrested by SLEO Pat Aiken for contempt of court on October 23. A juvenile, 17, of Egg Harbor City was arrested by Sgt. Marcella Aylwin for simple assault, terroristic threats, criminal mischief, possession of a weapon for unlawful purposes and unlawful possession of a weapon on October 23. Persons listed here as arrestees are considered innocent until or unless otherwise adjudicated in court.